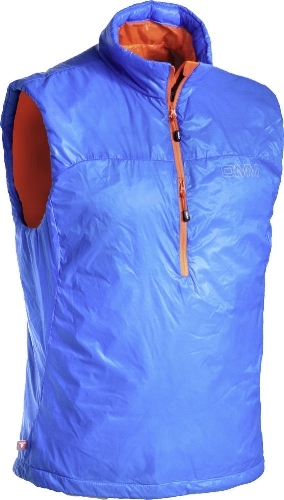 This gilet feels really warm for its weight due to the Primaloft Gold synthetic insulation and windproof shell. The clever short zip/front pocket combo allows good ventilation with minimal flapping. It’s a slim cut and quite a small fit so try before you buy; when the size is right, it’s excellent. It might even get 10/10 if OMM got back to us about any ethical policies. Amazing race-weight insulation; great looks and value, too.